A rare collectors bamboo for a beautiful screen with a splash of color. Canes are very unique looking colored yellow with compacted nodes that have a green stripe in the sulcus groove. Order within 20 hours 47 mins and your order will ship Tomorrow! Phyllostachys Aurea ‘Koi’ is a rare bamboo with very unique looking canes. 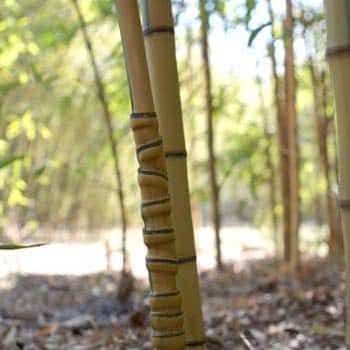 This bamboo can give your screen a splash of color. The culms are yellow with a green stripe in the sulcus groove. Meaning that it has a patterned striping that alternated sides up and down the cane. It also has an occasional leaf variegation. ‘Koi’ is a great choice for screen because it has low growing limbs. The culm nodes are compacted giving this species a great look on larger canes. Aggressive in full sun. 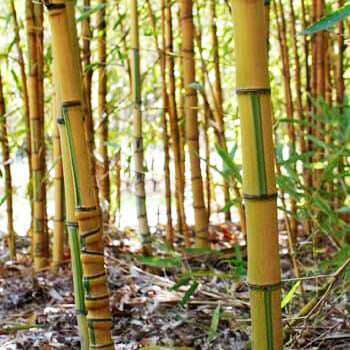 ‘Koi’ is the inverse color of the Phyllostachys Aurea ‘Flavenscens Inversa’ and compliment each other when planted together. Super impressed...Super impressed by your packing genius! 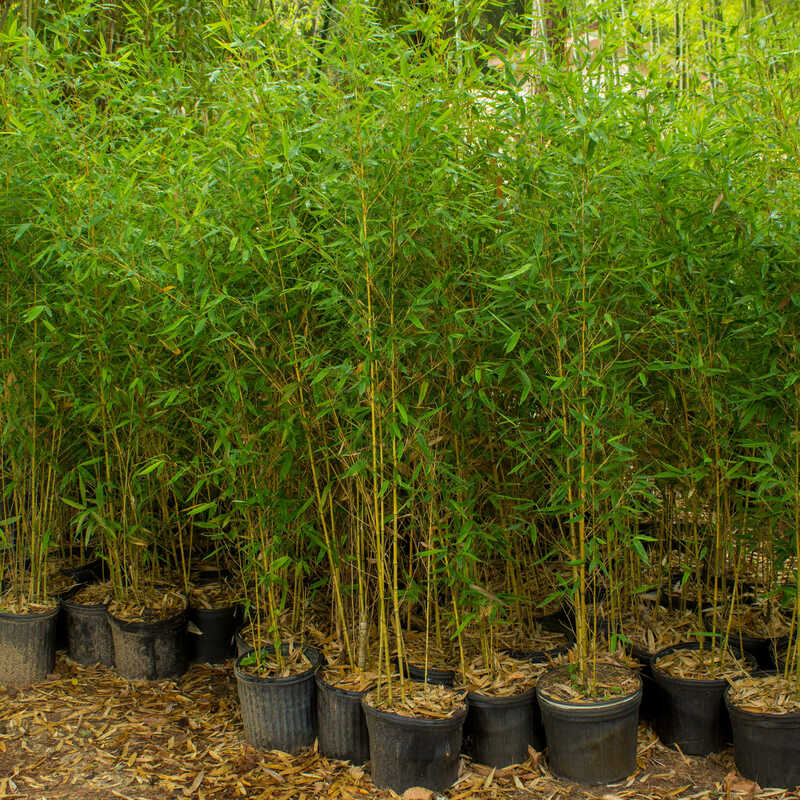 We ordered three different kinds of bamboo, Temple, black bamboo and Aurea Koi and they arrived in great condition. We replanted them in separate pots and are now waiting and watching them grow. Each one of them is beautiful in its own way and deciding on one is going to be difficult. The chosen one will become a part of the landscaping for our new house when completed in 9-11 months. Looks Great So FarI ordered 8 of these in mid-April 2018 to try to keep down erosion on a hillside. This picture was taken at the end of September. They seem to be very healthy and have progressed very nicely. I know it takes a few years to establish bamboo because I planted arrow bamboo a few years ago and it took off after a couple of years. 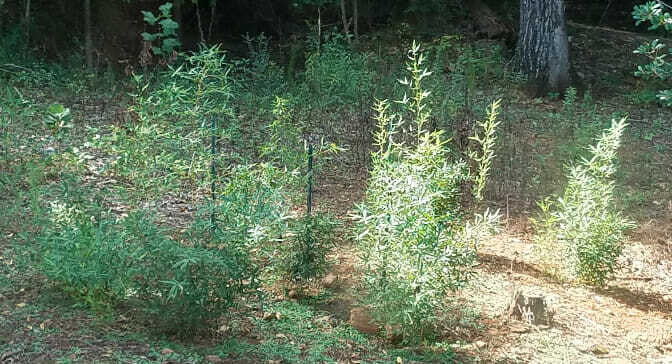 Hopefully this bamboo will survive the Atlanta winter. If so I will plant more in the spring. 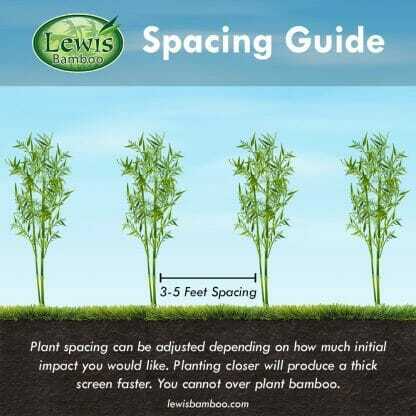 Bamboo roots are superficial but a little extra depth can help in water in and nutrient retention. I would recommend a minimum depth of 12" for plant health. The foliage can be up to 22% protein. 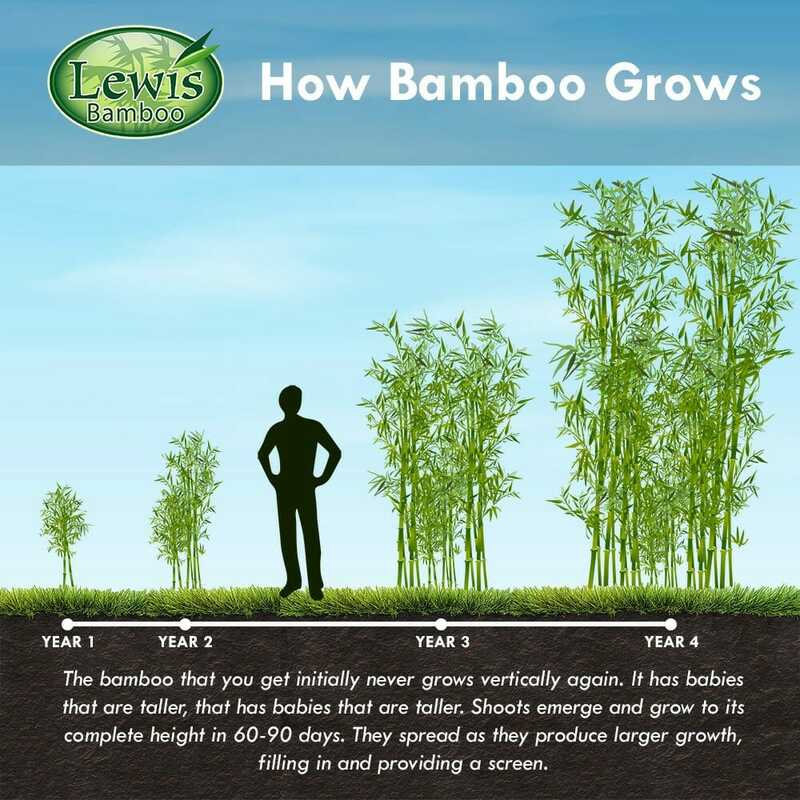 Here is a link how bamboo leaves compares to other livestock feed. The material is not important. Just keep in mind the larger the container the larger your bamboo will be able to grow.